State oil giant Saudi Aramco has launched a mega project, Spark, which has been designed to position the kingdom as a global energy hub that furnishes a dynamic, enabling environment for foreign and domestic investment. 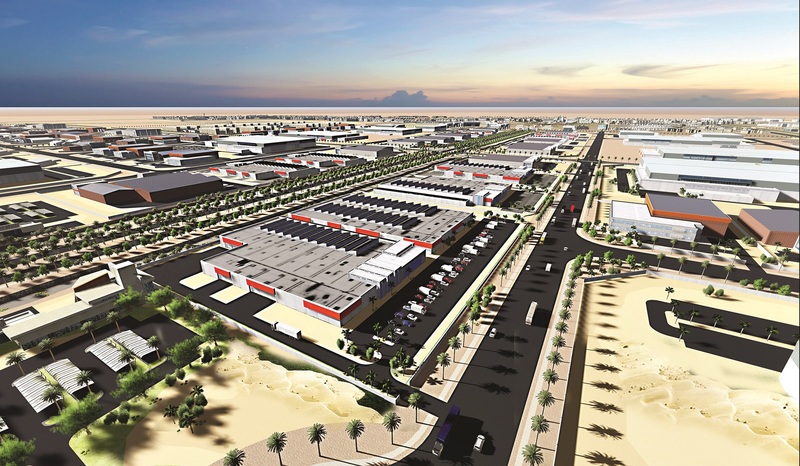 The 50-sq-km energy city will be constructed on an area between Dammam and Al Hasa in the heart of the Saudi energy business, near major workforce providers and adjacent to highway and railway networks. This location will also allow for integration with Dammam's 3rd Industrial City, as well as proximity to power generation and water sources, and logistical services, said a statement from Saudi Aramco. The state oil giant began the project by conducting studies and surveys with key international suppliers who concurred on requirements for creating a world-class, sustainable ecosystem: well-developed infrastructure, including a dry port; industrial training institutes; residential compounds; and commercial activities – all providing a one-stop shop to incentivize investment and enable small and medium enterprises, the backbone of a healthy private sector. With this new project at King Salman Energy Park, Saudi Aramco is about to enter a new phase. By its 2035 completion date, Spark is expected to support and increase the security of energy supplies that will be offered at competitive prices; lower the costs of the sector-related operational products and services; and enable rapid response from domestic product and service providers to Saudi Aramco’s urgent operational and developmental requirements. Spark’s long-term economic effect is expected to result in 100,000 direct and indirect jobs besides an increase in annual GDP by SR22.5 billion ($6 billion), localisation of more than 350 new industrial and service facilities; and establish an industrial base that facilitates innovation, development, and global competition. In this context, Spark will drive value creation in all of its activities and contribute to Saudi Aramco’s local-content mission to develop a sector that covers 70 per cent of local demand and can export 30 per cent of its products by 2021, as well as create thousands of direct and indirect jobs by 2025. As a business strategy, localisation can be right on the money, delivering reliability plus cost and time efficiencies to the bottom line. But the real power of local content development lies in its ability to add value beyond corporate borders, with a competitive boost to local and regional economies, said the statement from Aramco. Spurring a ripple effect of job creation, workforce development, technology transfer and local manufacturing, it can even be transformative, it stated. That’s all part of the plan for Saudi Aramco’s supply chain initiative, the In-Kingdom Total Value Add program. In a real sense, IKTVA aligns with the community engagement that the oil, gas and chemicals giant has manifested for more than 80 years, it added. This unprecedented plan to create a national energy sector for the ground up is an idea whose time has come. Targeting exploration, production, refining, petrochemicals, conventional power, and water production and treatment, Spark will leverage Saudi Aramco’s pivotal role as the world’s most reliable energy supplier - and the world’s leading megaproject manager. With manufacturing and service activities ranging from equipment for drilling, electrical services, and liquids treatment; exploration and production services; to pipes, vessels, tanks, valves, and pumps, Spark will be sure catalyst for Vision 2030, Saudi Arabia’s plan to diversify the kingdom’s economy beyond oil and build a thriving private sector. Saudi Aramco said its directive is to set Spark's foundation as an economic initiative that can attract, establish, and encourage local energy industries capable of competing in the global arena, as well as foster companies specializing in power generation materials and providing engineering and oil field services. The state oil giant pointed out that with its value proposition so clearly defined, energy industry leaders are committing to Spark. In December 2017, Schlumberger was the first investor, planning a center for manufacturing onshore oil and gas well platform products, as well as their supply chain products. Negotiations are underway with more than 120 industrial investors in the initial phase. And as the developing company, Saudi Aramco will make Spark its drilling and workover operation headquarters, and home to a supply chain management center. Construction began last September and the completion rate for the whole project’s engineering designs is now more than halfway complete. Investors’ plot allocations took place during third-quarter 2018, and the first phase as a whole will be completed in 2021. Saudi Aramco said with these carefully calculated components creating an attractive environment for investors, Spark will be a driver for energy manufacturing and services for the region, plus Africa, Asia and Europe. It will be a crucible for innovation and creation, and for broadening the capacity of its capable, qualified, and highly educated men and women, it added.